Before I sat down to write, I trimmed several roses from the bushes that grow outside of my kitchen window and put them in a small mason jar. I lit a candle and set my intentions. It is August 5, 2018, 10 months after hurricane Maria ravaged Puerto Rico. Power is slowly rolling back onto the island and communities are self-organizing to rebuild. Though the official death toll continues to be severely underreported, estimates say close to 4,645 people died as a result of the hurricane. The U.S. government, which holds colonial control over Puerto Rico, still refuses to take responsibility for this climate chaos. I hold all this in my heart as I write about my ancestral homeland and attempt to weave together the threads of our family’s story. 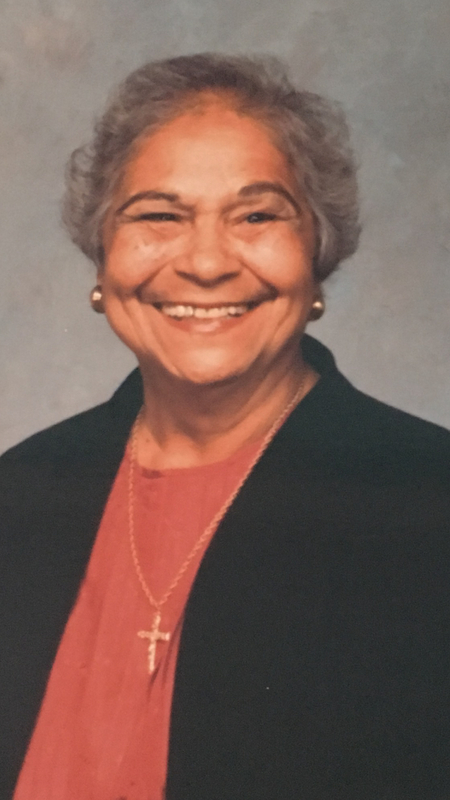 My nana, Julia Reyes, was born in 1911 in Santurce, Puerto Rico. Though we celebrated her birthday on July 4, she didn’t have a birth certificate, and no one is really sure if that’s actually the day she was born. She used to live in a small house on 15th Street, three bridges down from San Juan, on what she called the poor side of the lagoon. She could hear music from the fancy hotels carry across the water at night. Her mother, Petrona Melendez, was from the Canary Islands in Spain and had red hair and fair skin. Her father’s last name was Ceballo and he was a carpenter. My nana’s dad died when his wife was pregnant with her, so she never met him. Since my nana was the youngest of the five kids, they didn’t want to play with her, and she spent a lot of time with her mom. My nana’s mom grew roses to make a living. They buried coffee grounds in the soil to make it healthy, so the roses would bloom well. They didn’t have running water, so they carried it home from the mainline in town. They didn’t have electricity, so they would fall asleep talking at night because there was nothing else to do. According to her, Puerto Rico had a rugged beauty back then and they had a good life. 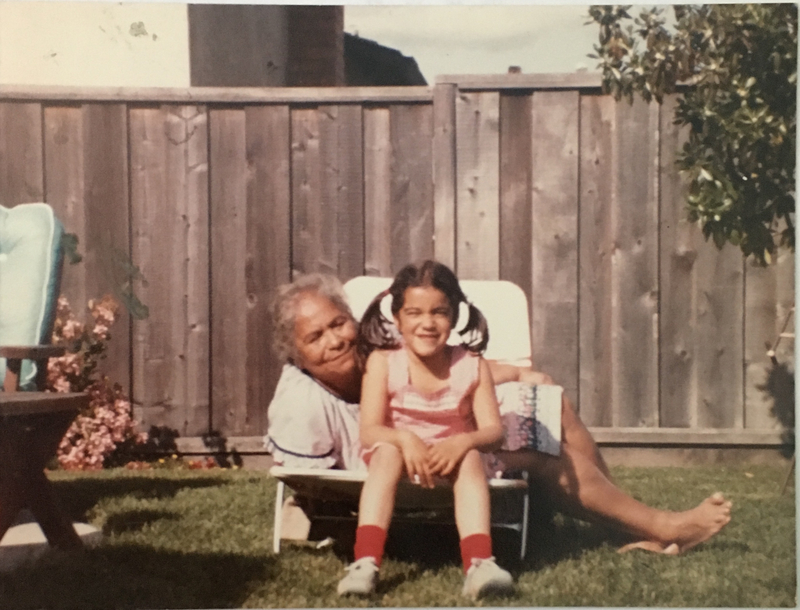 In 2003, I interviewed my nana and asked her to tell me why she came to the United States. She told me the story of the birth of her nephew and how that led her to leave home. This is a transcription of her words. In Puerto Rico, our house was like the railroad apartments in New York City, you walk into the front room, through to a bedroom, through to another bedroom and then there was a door off to the kitchen. Back then we had midwives. There were a few hospitals but no maternity wards. So, the midwife came when my oldest sister was giving birth. I was standing in the bedroom with them and she asked, “What are doing?” I said, “I don’t know, I’m waiting for my niece or nephew to be born.” She told me to get out of there. So, I went out the front door, walked around the house and in the back door, through the kitchen and into the bedroom the other way. At that moment Ralphie was coming out. The midwife said, “Okay, you really want to see this, come here.” I saw him being born. He came out, she wrapped him up, and put him in my arms. My god was that love, the son of a gun. On the cargo boat to New York City, we had a small bed for one person and we both slept there together, holding each other. We were so scared. When we got off the ship there was snow up to my knees. I remember like it was yesterday. The ship was called the San Lorenzo. It was 1929. We left Puerto Rico on a Thursday and we arrived in Brooklyn on a Thursday. It took us one week. When we got off the ship I was holding my nephew’s hand. I said to him, “Ralphie, we are going back.” He said, “How? Swimming?” We were both crying. Ay, we were crying. But I didn’t go back, I never went back, not to live. So, I arrived on Thursday and I started work on Monday. I worked, and I worked. I was sewing in a factory. I married Pa and I worked until they told me I had to stay home because I was pregnant with your Titi. Back then they didn’t let you stay. I’ve been through four wars here: World War II, Korea, Vietnam, and the Gulf War. I have been through four wars and World War II was the hardest. Yes, those were hard times. We would go and wait on line and they would give us one chicken. A family of three and we would get one chicken for a whole week. Pa would get up at four in the morning and go wait on line. And it was cold. Ay, we had winters back then. Pa would go, and I would wake up early and feed Nilda her breakfast and go and wait on line. When I would get the chicken, I would go home and cut it in half. I would make arroz con pollo and soup with the bones. With the other half I would make stew. The three of us with that one chicken would eat for four days. Pa didn’t go to war because he was necessary here. He worked in the shipyard, so he was around. He would go to bed before me. I would say, “Keep the bed warm, warm up my side too.” It was so cold. We didn’t have the thermostats with all the different temperatures like they have now. We had one temperature and it was cold. I think back, and I’ve had a good life. It’s been hard, but I can’t complain. When I read this story now, I am so grateful that I sat down with my nana that day. I still have the tape with the original recording, though since she’s passed away, I can’t bring myself to listen to it again. I’m afraid the sound of my nana’s voice will be too painful to hear. 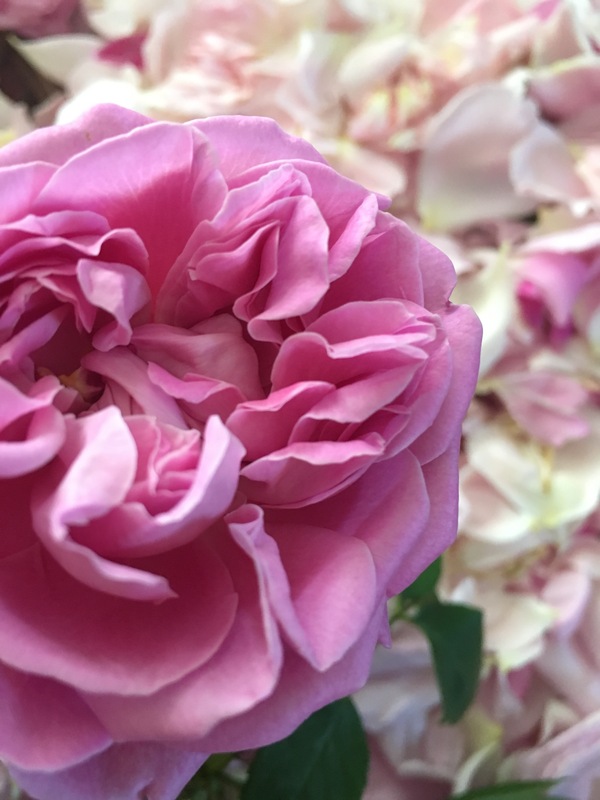 I look at the freshly trimmed roses on the table in front of me and I think of my nana and her mom tending roses in their yard in Puerto Rico, adding coffee to the soil so they would bloom well, and gathering the flowers to sell. Some mornings I take coffee grounds from my kitchen, bring them outside, and bury them in the soil around the plants. Every once in a while, I trim the flowers and drive with them out to the ocean. I pray for my nana and I ask her to help guide me on my path in this world. I think about how these plants connect me to her and her mother and countless other ancestors whose names I may never know. I ask for the strength to heal myself and to continue putting together the pieces of our family’s story. Maybe one day I will play that tape again. For now, I listen to my nana’s voice in the sound of the waves as they wash away the pink petals.